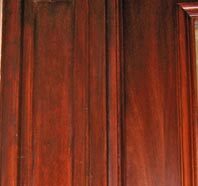 Using the Old World Techniques taught by European Masters, CLASSICAL DECORATIVE ARTS transforms areas into Faux Bois Walnut, Mahogany, Oak and Birds eye Maple. The Faux Marble samples below represent Trompe l'oeil Antique Yellow Sienna, Green Verde, Black/Gold and White Carrara marble to name a few. Several faux marble styles can be combined to create unique one-of-a-kind designed space.